Michelle is passionate about helping adults and children through the Scolio-Pilates® method, showing individuals how they can live a full life with scoliosis. Michelle encourages individuals to reach their full potential and be their “best version of themselves.” As a dancer and rock climber with scoliosis, Michelle experienced many scoliotic related injuries throughout the years, and knows first-hand how asymmetry feels in the body. Using her own experience with scoliosis, Michelle helps her clients find balance. 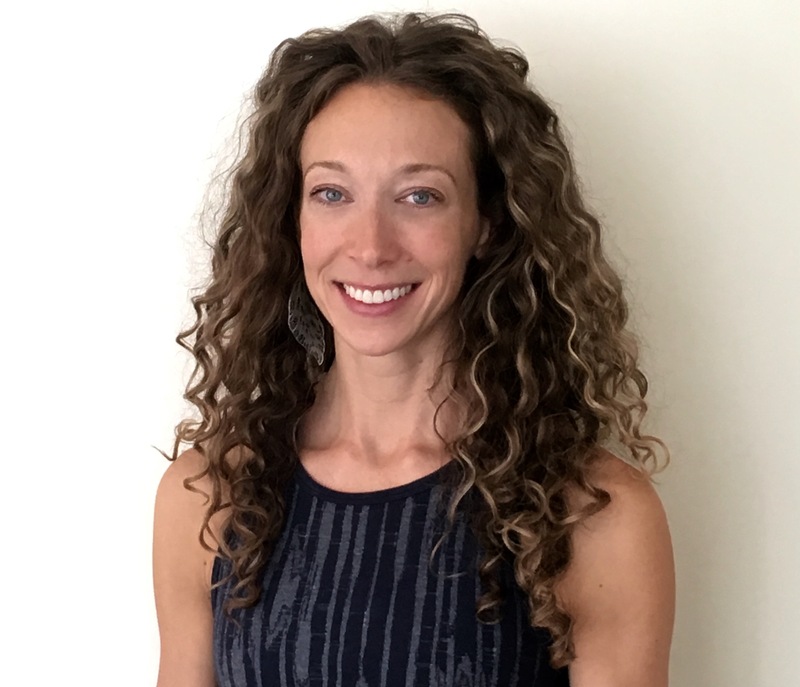 She teaches her clients to focus on elongation, breath, and strengthening so they can live a more robust life through improvements in pain, posture, and function. Michelle’s journey began at age eleven when she was diagnosed with scoliosis and then braced during her middle and high school years, all while training at a conservatory to be a professional dancer. While obtaining her B.F.A. in Dance from Florida State University, she was introduced to Pilates as a conditioning tool for dance, but quickly became interested in the rehabilitative and therapeutic aspects of Pilates to help manage her back pain and other injuries related to scoliosis. Wanting to help others with scoliosis, she decided on the Stott Pilates® certification program due to its highly regarded reputation, strongly based in anatomy and the science of injury and special populations. She dove into investigating scoliosis- what worked, what did not work, and what helped with pain. After teaching for almost a decade, Michelle feels inspired every day by the people she teaches. When she discovered the Scolio-Pilates® program, she was beyond excited and is honored to call herself an Authorized Scolio-Pilates® Practitioner. With a sense of humor and lightheartedness, Michelle gives well-rounded full-bodied sessions. Michelle’s clients, people of all different ages and abilities, find wellness and improve strength, alignment, and awareness through movement education. She appreciates and embraces everyone’s differences in anatomy, personality, and learning style; therefore designing sessions tailored for the individual, which allows for optimal progression. Michelle is excited to help you find your own healthy spine.